The Old Settlers Music Festival (Salt Lick Pavillion, Austin, Tx. ), is done for 2007. None of us can wait until next year's festival (April 2008)! 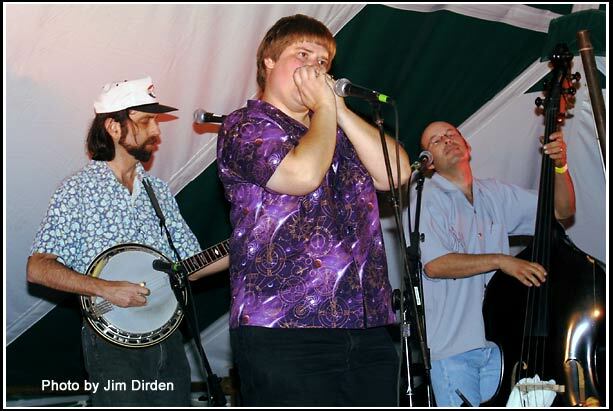 For the last 8 years I have given a harmonica workshop at this festival that has been very well received (often focusing on bluegrass harmonica or working with one of the festival performers). This year Lonnie Joe Howell (a Nashville session musician) joined me for the workshop, sharing his points of view of the harmonica from the world of country blues. If you are interested in learning about playing the harmonica, then put next year's festival, and this workshop, on your schedule. The festival line-up every year is exceptional. Plenty of bluegrass. Plenty of other stuff. They have three simultaneous stages to keep you busy all day long and through most of the night for four days. Included in the festival schedule is a young musicians contest. Plus our workshops get rave reviews every year. (Imagine learning about an instrument nose to nose, or nearly so, with the very people who caused you to be interested in the instrument or in songwriting in the first place!) 2007's workshops included Darol Anger, Adam Moss, Mike Marshall, Sarah Jarosz, Dave Wilmouth, David Grier, Tony Trischka, Kerry Jones, Trevor Smith, Jim Lauderdale, Peter Rowan, Bill Nershi, Cara Cooke, and Lonnie Joe Howell! Check out http://www.oldsettlersmusicfest.org/ for more information.